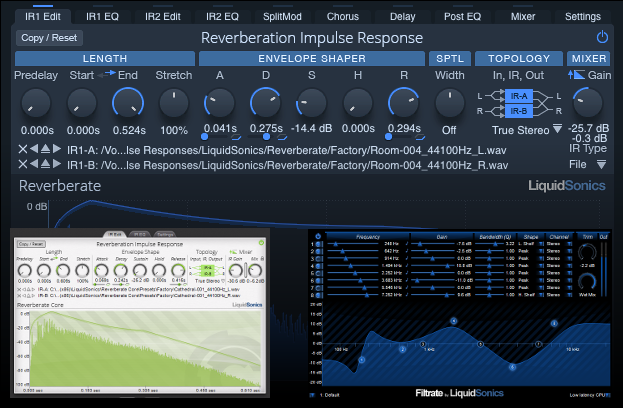 Buy Reverberate 2 and Reverberate Core together to get Filtrate absolutely free! 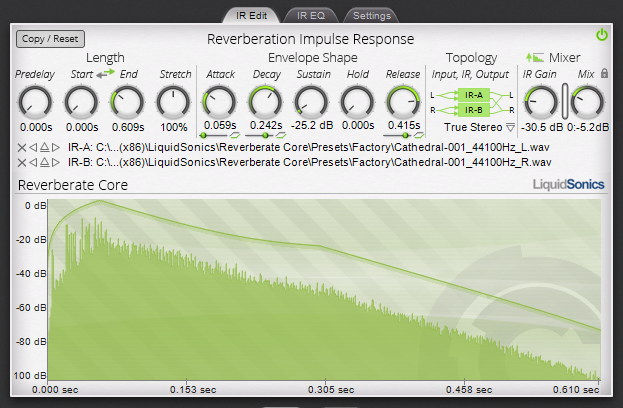 Reverberate 2 introduces Fusion-IR which captures the evolving character of time-varying reverbs using multiple true-stereo reverb streams that are processed simultaneously. The inputs to the convolution streams are modulated and the outputs fused into a rich, captivating space that mixes effortlessly with your music. 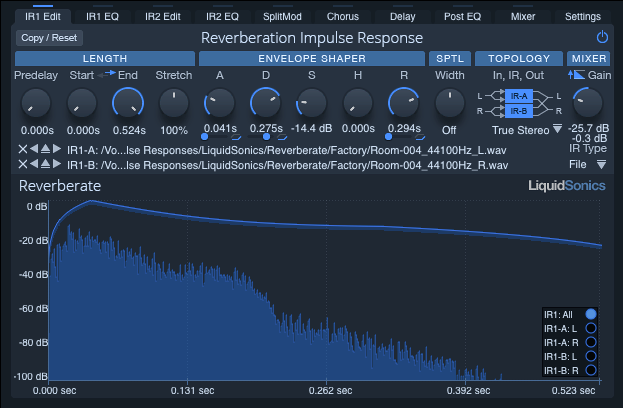 LiquidSonics Reverberate Core is a highly efficient true stereo convolution reverb audio processor featuring zero-latency operation with oversampled paragraphic equalisers and envelope control for Mac and PC. 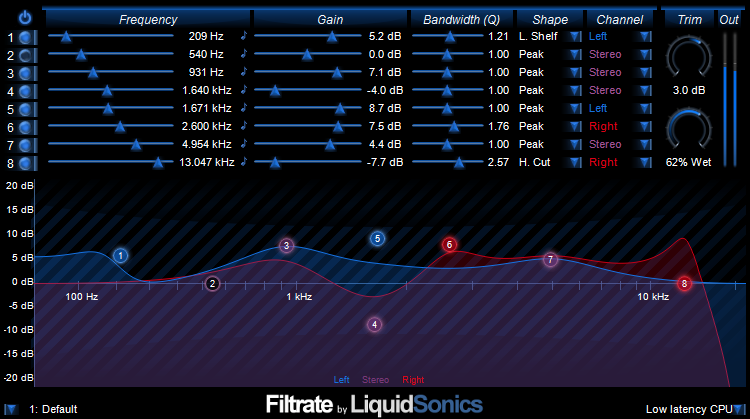 It focuses on providing a solid foundation for your reverb requirements in a very affordable package. Experience the realism of true stereo impulse response reverb or select from the fundamental processing topologies (mono-to-stereo / stereo) in a very easy to use and efficient VST and AU plug-in. These products are licensed via a license file. Upon purchase one license key will be emailed to you with instructions on how to use it with the plug-in.